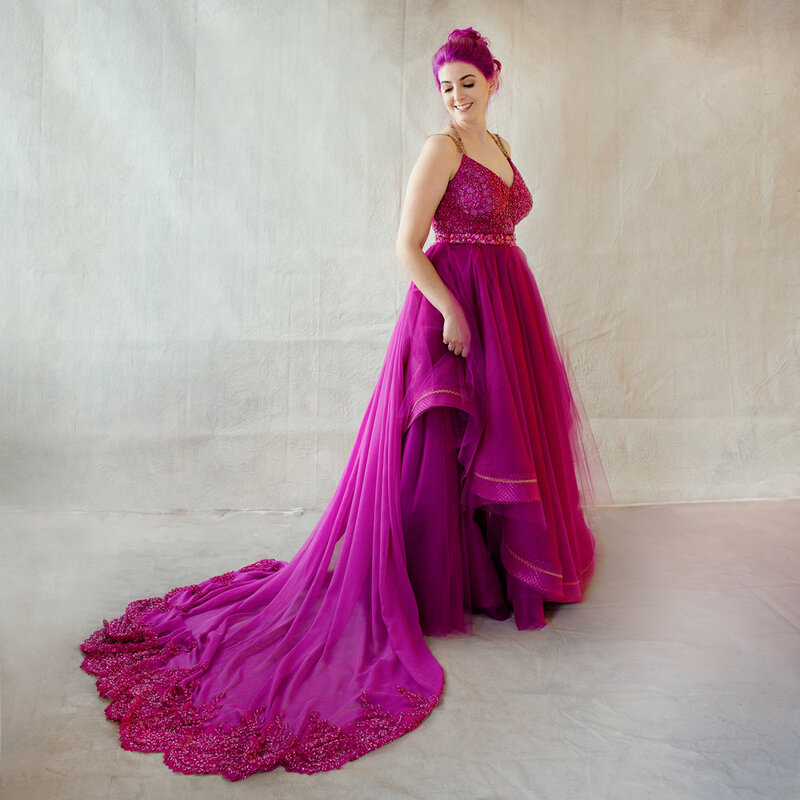 This vibrant bride knew that she needed color, and she settled on a magical mix of fuchsia and gold. We had so much fun searching for fabrics, laces and accent details that matched her vision. A dramatic detachable train completed the look for walk down the aisle. Her fiancé already had a suit, but needed a matching vest, so we set to work creating a linen fuchsia vest with a fun patterned back and matching pocket square. All of their wedding guests were asked to wear white and the contrast was stunning!